Chief Justice, Mr Justice Frank Clarke held that it was open to RCSI to reject the private clinic’s application for CPD accreditation on the basis of the original guidelines, and the question of which guidelines were actually relied on was not as central to the case as the Court of Appeal appeared to consider. Under powers provided for in s. 91(4) of the Medical Practitioners Act 2007, the Medical Council has delegated to the Royal College of Surgeons in Ireland (RCSI), amongst other bodies, the entitlement to accredit certain events for continuing professional development (CPD) purposes. RAS Medical Limited trading as Park West Clinic, a private medical clinic, applied for such a CPD accreditation in respect of an event involving live plastic surgery – however RCSI refused the accreditation sought. In the High Court, all grounds relied on by RAS in its judicial review proceedings were rejected by Mr Justice Seamus Noonan. Overturning the decision of the High Court, the Court of Appeal found that RCSI had, as a matter of fact, wrongly applied new guidelines which, it was said, were not applicable to the application made by RAS. On that basis, the Court of Appeal quashed the refusal of the application for CPD accreditation. RCSI appealed to the Supreme Court, arguing that RCSI argued that it was clear from the sworn testimony of Professor Tierney that the PDPC relied on the old guidelines in reaching its decision in relation to RAS’s application for CPD accreditation. The Supreme Court granted leave to appeal on the basis that “he circumstances in which certain discovered documents came to be before the courts below” gave rise to an issue of general public importance “not least because it is of some significance to bring further clarity to the way in which discovered documents can be deployed in all proceedings but in particular proceedings which are, prima facie, likely to be heard on affidavit”. Mr Justice Clarke said that it was not appropriate for a party to seek to put in evidence documents which it has obtained on discovery simply by exhibiting those documents in an affidavit sworn by a person who is not in a position to prove the authenticity of the documents concerned. Mr Justice Clarke said that the proper course of action to adopt, was to seek to deploy any one of the many procedures available to ensure that documents concerned are received in evidence and can be taken into account in deciding the issues which arise in the case. However, that being said, no objection to the receivability or admissibility of the documents discovered by RCSI was raised before the trial judge. Mr Justice Clarke said he was satisfied that it was too late for RCSI to contest the reliance by the Court of Appeal on the documents concerned when no objection had been taken in the High Court. In the light of the difficulties which emerged in this case, Mr Justice Clarke re-emphasised “the vital importance of there being absolute clarity as to the status of any documents which are handed into the trial judge”, he added that the difficulties which emerged in this case would not have arisen had both parties followed appropriate practices in ensuring that the status of the documents concerned were absolutely clear before the trial judge was invited to reach a determination. However, Mr Justice Clarke was also satisfied that it was inappropriate for either a trial court or an appeal court to reject sworn affidavit evidence by reference either to other sworn affidavit evidence or to documentary materials without giving the deponent concerned an opportunity to answer any reasons why the sworn evidence should not be regarded as credible or reliable. Mr Justice Clarke said that the onus was on a party who wishes to urge on a court that sworn affidavit evidence should not be accepted, in respect of any point of fact material to the court’s final determination, to ask the court to take appropriate measures such as granting leave to cross-examine, so that questions concerning the credibility or reliability of the evidence concerned can be put to the witness and the court reach a sustainable conclusion as to the accuracy or otherwise of the evidence concerned. In those circumstances Mr Justice Clarke was satisfied that the Court of Appeal erred in rejecting the evidence put forward on behalf of RCSI concerning the guidelines actually relied on, without cross-examination having taken place. 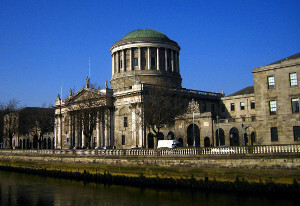 Mr Justice Clarke held that it was open to RCSI to reject RAS’s application for CPD accreditation on the basis of the original guidelines, therefore he was not satisfied that the question of which guidelines were actually relied on was as central to the case as the Court of Appeal appeared to consider. In those circumstances Mr Justice Clarke said that the trial judge had evidence which permitted him to reach a sustainable conclusion to the effect that the RCSI was entitled to and did reject the application by applying the original guidelines – and therefore there was no legitimate basis for quashing RCSI’s decision to reject RAS’s application. Allowing the appeal, Mr Justice Clarke made an order dismissing the application for judicial review.